Tasnia is using Smore newsletters to spread the word online. What Will Canada Look Like In 2060? What changes in Canada's demography may possibly occur? In the past 147 years, Canada has seen 4 stages of the demographic transition model. As Canada enters its 148th year, it begins moving into the 5th stage of the demographic transition model. This means that the birth rate is declining, the death rate is increasing and and the population is slowly beginning to decrease. Of course there are many other factors such as immigration and the improvement of Aboriginal demography. 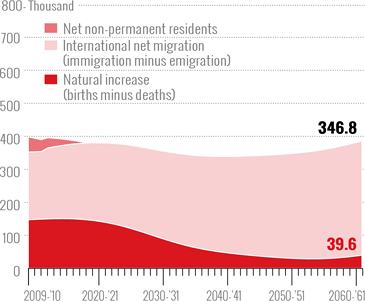 In the following info-graphic I will outline the current population, immigration and Aboriginal trends and key predictions regarding what may happen within the next 45 years. These immigrants are travelling to Canada for many reasons, education, freedom, or even to pursue jobs. The reason that such large portions of Canadian immigrants are from these three countries is because these are countries with very high and dense population. These countries are also victim to poverty and a widening gap between the wealthy and poor. They come to Canada for opportunities unavailable in their home countries. Also, immigrants represent 20.6% of the total Canadian population which is the highest percentage out of all of the G8 countries. This is because as Canada's birth rate drops, the workforce takes more strain. Immigration, today, is needed to help sustain the workforce and cover up the labor deficit while increasing the birth rate. There are many reasons people choose to apply to immigrate to Canada. Some may get push out of their homelands, and some may be pulled to Canada for other reasons. 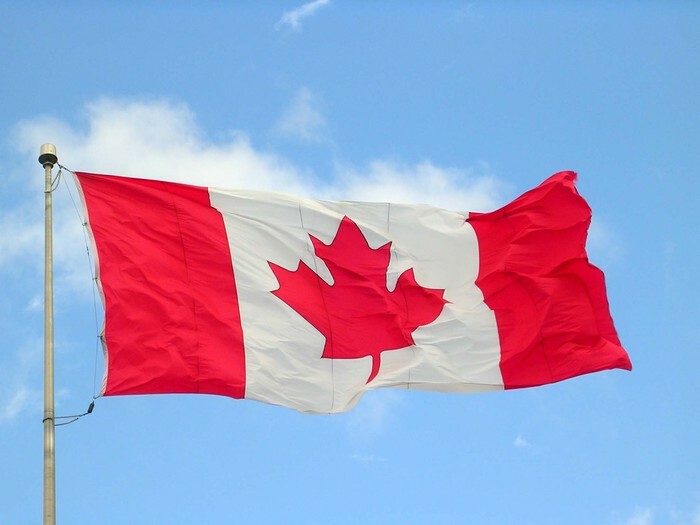 Along the journey to immigrate, some may encounter obstacles making their immigration that much more difficult, but those who fight past those barriers find themselves in Canada. Since Canada has a low birth rate but a high life expectancy, it is only expected that more skilled workers will be needed to help sustain its' growing population. For the reasons listed above, Canada is obviously a prime candidate when it comes to immigration, even accepting 1/10 refugees. Currently, despite the barriers, Canada today is a popular immigration destination. Although Canada has the highest immigration rate in the G8, not everyone is accepted. Canada absolutely does not allow people with past criminal records and health risks, of course there are many other reasons they don't make the cut. Currently, Canada's immigration system runs on points. Although Canada has the highest rate of immigration, it is also a long process to immigrate to this fine land. I believe that this helps keep Canada as advanced as it is, allowing those who can help aid our country. Although it may be a bit difficult to apply and be accepted, the benefits of those who do are endless! The immigration rate has a major influx. This shows the projected deficit of skilled workers 15 years from now. Most immigrants are from the Economic class. I believe that in 2060, Canada's immigration rate will have a major increase. This is because of Canada's low birth rate and high life expectancy leaving Canada unable to sustain its population. I think that in 2060 Canada will be required to allow more immigrants. Skilled workers will be needed to help support and further Canada's economy. Its expected that in 15 years there will be 2.3 workers per senior, half of the current ratio. If things continue as they are, in 30 years there won't be enough working-aged people per senior. This is why Canada needs immigration from a wide variety of countries for many reasons. I believe that the point system will require more standards to make sure Canada only moves forward. Immigration is necessary in order to ensure a growth rate. As the price for kids (and gas) slowly begins to climb into unthinkable numbers, the birth rate begins to do the same. 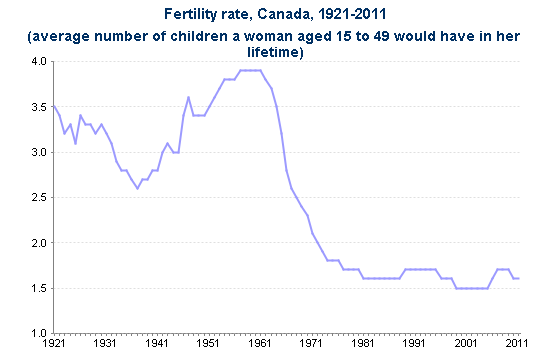 As of 2011, Canada's birth rate has fallen to 1.6 children per woman. 50 years ago, the birth rate was 3.81 children per woman. As the birth rate has dropped so much in the last 50 years, it is only imaginable what'll happen in the next 50. I think that the birth rate will continue to drop until there is a natural decrease like Germany, for example. In the next 45 years, I believe that Canada's birth rate will decrease. As of right now, although it is low, our birthrate is still resulting in a population increase. Lets face it, Baby Boomers (born between 1946-1964), are starting to expire. This, of course, will put a spike in the normally low death rate Canada maintains. The death rate was last measured in 2011 at 7.2 deaths per 1000 people. Baby Boomers will begin to reach their 80 year life expectancy in the upcoming years. This, although not immediately, will clash with the declining birth rate and result in a natural decrease. 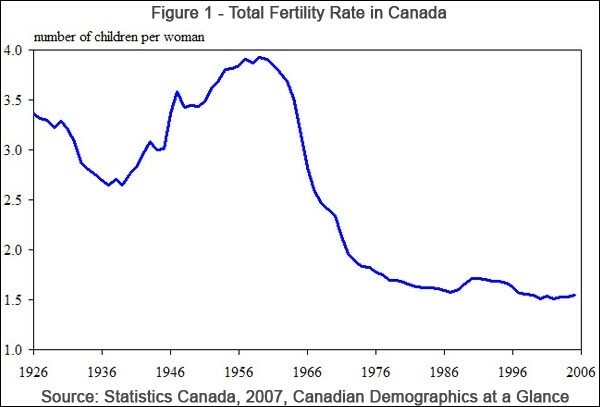 At the moment, Canada's birthrate is low because of our advanced medical research and free healthcare. Also, the living conditions are stellar and many opportunities for people to receive the care they need. These are the reasons Canada's current death rate is so low. With a increasing death rate and a declining birth rate, the population growth will most likely reverse in 45 years time. Canada, although an industrialized society, this seems to be the downfall when it comes to natural increase. 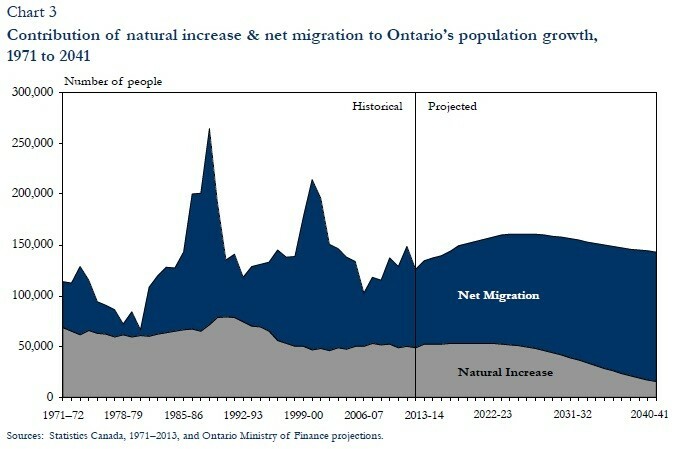 With the population within their childbearing years choosing not to have children because of a lack of time and money and the baby boomers dying, natural increase is not looking very good. Currently, crude growth rate is calculated at 2.41. Which means there is still a positive growth rate. This means until it reaches the negative digits, there will be natural increase. I believe that Canada's population, in the year 2060, will decrease. Not very much, but I believe it will reach a negative natural population growth. I think this because by 2060, the baby boomer deaths will have reached their end and it will only get more expensive to raise children in the industrialized society. Although robots may not take over, I predict that the workforce will feel the impact of this and suffer from a deficit. I believe this because even today, skilled worker immigrants are attracted here for the job market. I believe that in 45 years, there will be a slight decline in the population. Although it isn't set in stone, a decline in population is apparent. There has been a major decline since the 'Baby Boom' era. First Nations, Métis and Inuit peoples have a rapidly increasing population mostly dependent on their high fertility rate. From 2006 to 2011, 5 years alone, the Aboriginal population had seen a staggering 20.1% increase in comparison to the non-Aboriginal population. 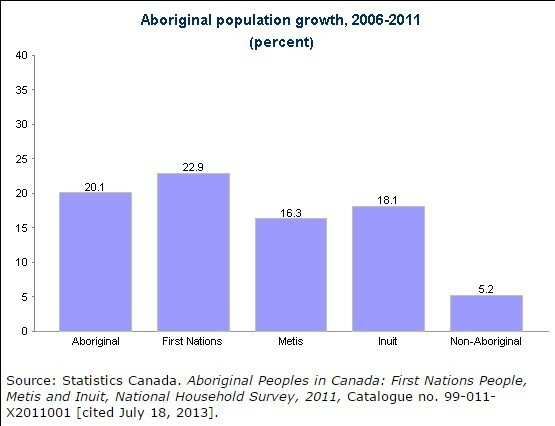 In those 5 years, the non-Aboriginal population had seen only a 5.2% increase. The highest increase would belong to the First Nations population, increasing 22.9% from the years 2006 to 2011. This increase would obviously lead to a future increase in the Aboriginal population and the 4.3% of the total population represented by Aboriginals would rise. While the life expectancy is projected to improve within the couple of years, Aboriginal peoples have yet to reach the life expectancy of non-Aboriginal peoples. Aboriginal women's expectancy falls about 5 years short of other Canadian women at 76.8 years whereas other Canadian women live until a little more than 83 years. However, Aboriginal men have a life expectancy 8 years shorter than non-Aboriginal men with the Aboriginal expectancy at 70.9 years versus 78.8 years. Although the Aboriginal peoples have a shorter life expectancy at birth, it is slowly rising. This means that, coupled with the high fertility rate means that the Aboriginal population will continue to increase. This also means that the circumstances for Aboriginal peoples is improving. While the life expectancy for Aboriginal people is lower than that of non-Aboriginals, the population age is also much younger. 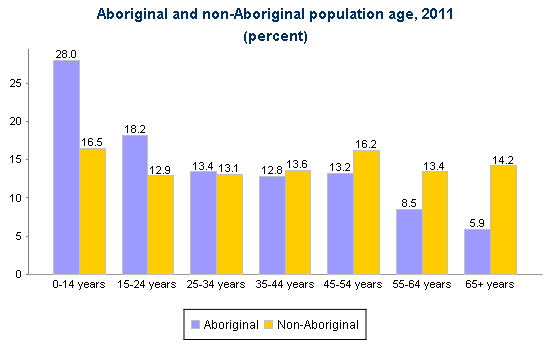 The median age for Aboriginal people is 27.7 years. This median is 13 years younger than that of the non-Aboriginal population which is sitting at 40.6 years. This is due to the fact that the birth rate of Aboriginal women is so much higher than non-Aboriginals and the life expectancy is also shorter. Since the Aboriginals are having many children and dying young (the opposite of non-Aboriginals), the median (the point in population where exactly half is older and half is younger) is much younger. This means that as the life expectancy lengthens, population will increase although the median age will too. Lets be honest, no one knows what's going to happen 4 hours from now, let alone 4 decades. But here's what I think. In terms on the Aboriginal population, I think that their high fertility rate, lengthening life expectancy and improving living conditions will lead to an increase in population. Of course I think that by 2060 the Aboriginal peoples will finally receive the same rights as the average Canadian citizen and thus the separate classification will be unnecessary. But, you never know. But what I do know is, if things continue on the way they are and there isn't another Big Bang that wipes out the human population (which is pretty unlikely), I think that the First Nations, Métis and Inuit populations are sure to increase. I believe the Aboriginal population will increase from 4.3% of the population by the year 2060. In conclusion, I believe Canada in 2060 will be more diverse, less children and integrated with Aboriginal peoples. I believe this because there will definitely be an increase in immigration. That'll be brought on by a bunch of baby boomers deaths and a labor deficit. Also, since it is expensive and time consuming to have children, I believe that less children will be had by Canadian families. I believe that Aboriginal peoples will also have the same rights as the average Canadian citizen. They've waited their whole lives, so I think within the next 45 years, Canada should abolish all discrimination towards Aboriginals and accept them into our communities with open arms. Of course, no one know what the future will actually be like, but this is a pretty good guess. "Aboriginal Population Age." Employment and Social Development Canada. The Government of Canada, 1 Jan. 2011. Web. 11 Mar. 2015. "Aboriginal Population Growth." Employment and Social Development Canada. The Government of Canada, 1 Jan. 2011. Web. 11 Mar. 2015. "The Aboriginal Population Is Young." Aboriginal Peoples in Canada. Statistics Canada, 1 Jan. 2011. Web. 11 Mar. 2015. "Rethinking Immigration: The Case for the 400,000 Solution." The Globe and Mail. The Globe and Mail, 4 May 2012. Web. 9 Mar. 2015. "Births and Total Fertility Rate, by Province and Territory." Statistics Canada. The Government of Canada, 19 Mar. 2013. Web. 11 Mar. 2015. "Death Rate - Crude (per 1;000 People) in Canada." Trading Economics. Trading Economics, 1 Jan. 2015. Web. 11 Mar. 2015. "List of Countries by Natural Increase." Wikipedia. Wikipedia, 6 Feb. 2015. Web. 10 Mar. 2015. "Sources of Immigration." Immigration to Canada. Wikipedia, 9 Jan. 2013. Web. 11 Mar. 2015. 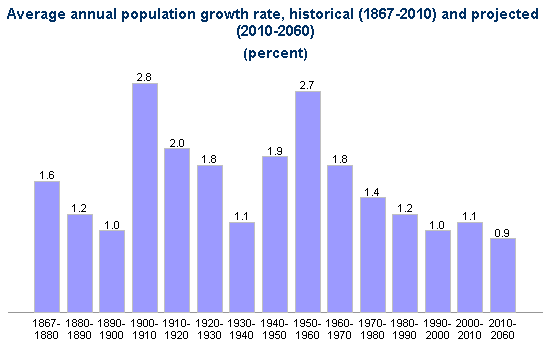 "Population Growth in Canada: From 1851 to 2061." Statistics Canada. The Government of Canada, 18 Dec. 2013. Web. 11 Mar. 2015.